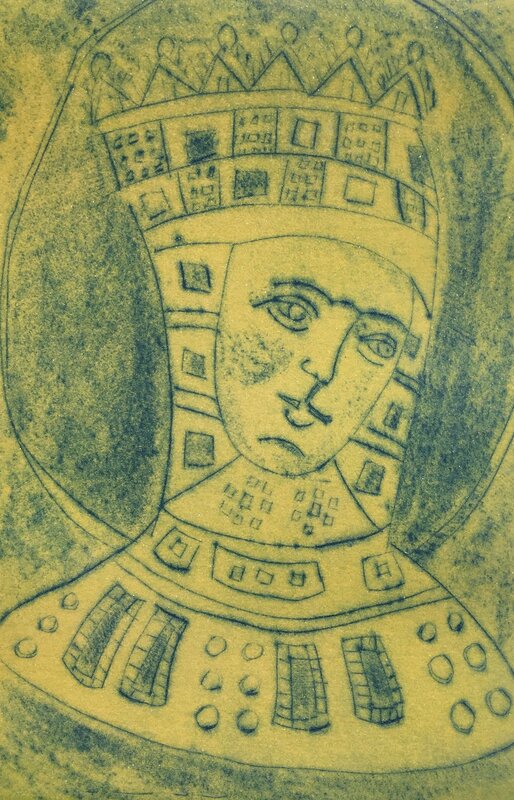 See Drypoint for process details. There are various ways to add color to a drypoint print, and this class will focus on one or two of them, depending on the length of the class. Options for adding color to a drypoint print include color inking, surface rolling, and selective color through stencils, selective inking (A la poupée,) and chine-collé. Chine-collé is a process of adding delicate pieces of shaped paper to a print while it runs through the etching press. Classes are 2-3 hours in length. Students will receive one zinc plate to make their image. Each student can expect to make one drypoint intaglio print, but can make as many as time allows. Recommended for ages 13 and up.